Proud dad Paul McCartney dropped in to help his son James in the recording studio, where James is working on a new album. James has previously released two EPs, Available Light and Close at Hand, and done some touring in the UK and North America, as well as helping dad on the Driving Rain and Flaming Pie albums, and mom Linda’s Wide Prairie album. The proud papa tweeted to fans: "Having fun in the studio with James on his new album" and also shared a picture of the pair at the mixing desk. George Harrison’s son, Dhani, says it was very emotional for him to record the Beautiful Creatures movie soundtrack at Abbey Road Studios. He tells Rolling Stone, "I spent my whole life in and out of Abbey Road. 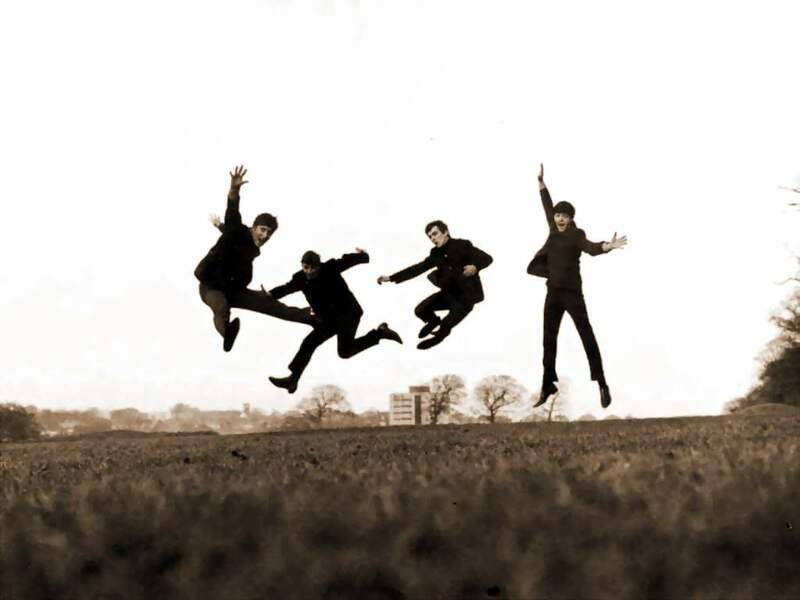 Recording at Abbey Road was emotional: my first time recording there, my first time hearing something we composed for an orchestra of that size and my first major Hollywood film soundtrack." The 34-year old-came up with arrangements for the orchestra and recruited guests including Ben Harper and the Hollies' Tony Hicks, who is the father of Dhani's bandmate, Paul. 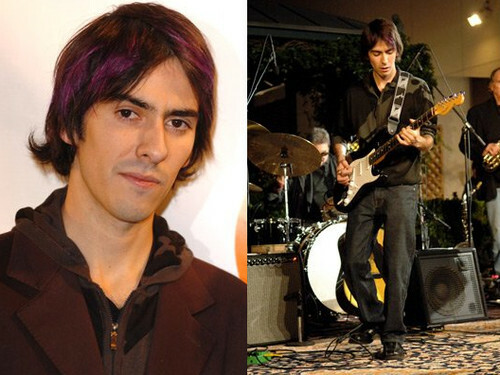 Dhani adds, "I was able to put a 54-piece orchestra in Studio 2, which is really weird. 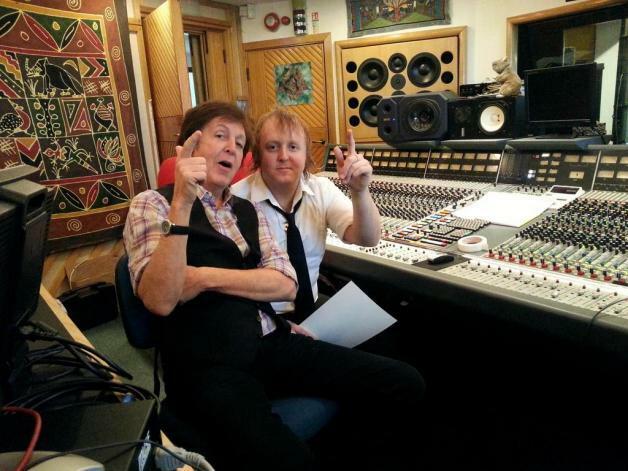 It's where my dad spent a lot of his formative years, as well as Paul's dad [Hicks], who recorded in Studio 1." 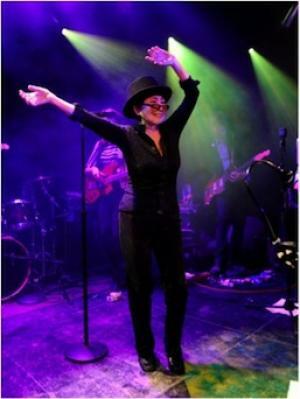 Yoko Ono and Sean Lennon are continuing their campaign against fracking (the natural-gas drilling technology hydraulic fracturing), and the air pollution and water contamination that have alarmed some residents since the practice took off several years ago. Mother and son are travelling around communities in New York and Pennsylvania to draw attention to the cause, and even went to New York’s state capital, Albany. Last year, Sean started a website and campaign called Artists Against Fracking, drawing signatures from Paul McCartney, as well as writer George Saunders, Martha Stewart, MGMT, Beck, Jimmy Fallon and others. Actress Susan Sarandon has joined Sean and Yoko on their travels. Paul McCartney has joined those speaking out against the Cayman Turtle Farm, a popular tourist attraction that allegedly is raising turtles for food under inhumane conditions. The farm offers tourists the chance to learn more about the endangered green turtle as well as the loggerhead turtle, crocodiles and other Caribbean wildlife . But it also breeds turtles for human consumption. Now undercover filming by the World Society for the Protection of Animals (WSPA) has alleged that the turtles bred for their meat are kept in inhumane conditions, suffer illness and injury and that tourists could be in danger of illness from handling the animals. Paul is lending his support to the WSPA. Sir Richard Branson says he awaits additional findings "with interest." 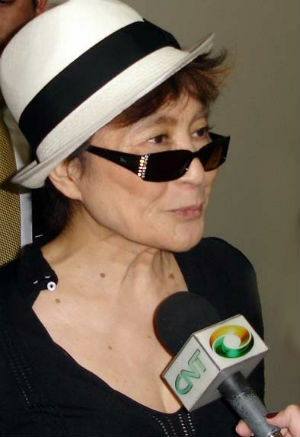 To mark her 80th birthday on February 18th, Yoko Ono will give a Plastic Ono Band concert the night before in Berlin, Germany, with son Sean as band leader. Ono's retrospective, HALF-A-WIND SHOW opens in Frankfurt on February 15, and will tour to major museums across Denmark, Austria and Spain in 2013 and 2014. This year, her albums from 1968-1985 will be reissued, and a career-spanning art book, Infinite Universe At Dawn, will be published, highlighting six decades of her work. Forty-nine years after the Beatles toured Australia, Ringo Starr has gotten a personal invitation to return to a train station he supposedly visited back then. National Trust volunteers who maintain the historic Grandchester station have invited him to pay a visit, after learning of a local legend that Ringo secretly visited the station in June 1964. 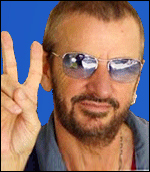 Ringo returns to Brisbane on February 11 to perform with his All-Star Band, and so trust volunteers have emailed him asking him to visit Grandchester Station. "While he is touring Down Under, would he like to visit this beautiful, historic station (either as Ringo or incognito) at any time on any day?" the email reads. "We would be delighted to host a visit and give him a tour." 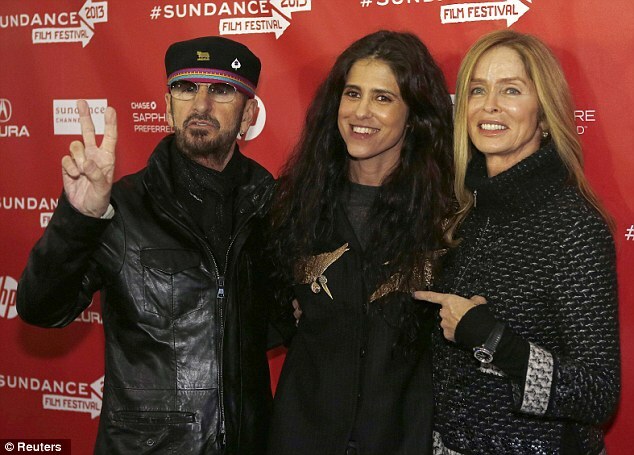 Ringo Starr and wife Barbara Bach went to Park City, Utah to attend the Sundance Film Festival premiere of the film, Emanuel and the Truth about Fishes, directed by Barbara’s daughter, Francesca Gregorini, to whom Ringo has been a stepfather since 1981. The indie drama/thriller stars Jessica Biel, Alfred Molina and Frances O’Connor. C urrent artists are taking up the challenge to re-record the Beatles' debut album--at the same breakneck pace in which the original was recorded. Musicians including the Stereophonics and Simply Red's Mick Hucknall will attempt to complete the project in the same space--Abbey Road Studios--the Beatles used in 1963. The musicians will use the same studio, with all the tracks recorded in the same order for the event, scheduled for Feb. 11. The project will be broadcast live on BBC Radio 2, and will be filmed for a BBC Four special called 12 Hours to Please Me, scheduled to air Feb. 15 in the U.K.
Paul McCartney’s little-known stepmother, Angie, has written an autobiography, My Long & Winding Road. 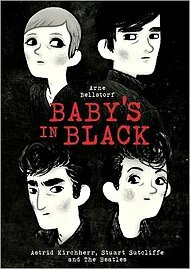 Angie had been introduced to the widower Jim by a mutual friend after her first husband, Eddie, died. She had a young daughter, Ruth. Angie said of the senior McCartney, “We talked a lot about our lives, our loneliness, our need to take the next steps’, and married the year they met.